NEW YORK, Sept. 21 (UPI) — The issue most concerning to Americans about either presidential candidate is Donald Trump‘s “language and comments about women, immigrants and Muslims,” according to new voting research. Nearly seven in 10 voters, 69 percent, said Trump’s controversial rhetoric concerns them, a NBC News/Wall Street Journal poll said Wednesday. 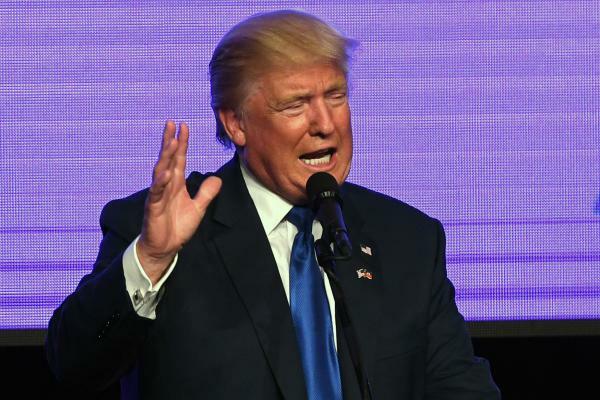 Sixty-six percent said Trump’s temperament is the most concerning trait of either candidate. The third most concerning topic, according to 64 percent of voters, is Hillary Clinton‘s use of a private email server while she served as secretary of state. — Clinton’s judgment in issues relating to foreign affairs, specifically in Syria, Iraq and Libya, at 62 percent. — Trump’s praise for Russian President Vladimir Putin, at 59 percent. — Trump’s failure to release his tax returns, at 52 percent. — Clinton’s reference to half of Trump supporters as “deplorables,” at 45 percent. — Clinton’s recent health problems, at 44 percent. The poll surveyed 1,000 registered voters from Sept. 16 to 19 and has a margin of error of 3.1 percentage points.